This is such a delightful and quirky book. I loved it from the opening passage. I know I’m a little late to the party since it was one of those books that was reviewed on every third book blog a few years ago. 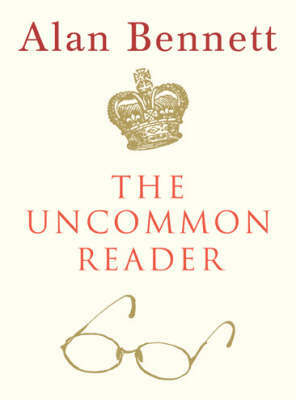 The uncommon reader refers to the Queen of England who discovers a travelling library one day behind her palace’s kitchens. Out of duty and obligation, she borrows one book by the only author that looks mildly familiar: Ivy Compton-Burnett. Her staff also have similar thoughts and infuriatingly concoct plans to halt the Queen’s reading rampage. When the Queen’s love affair with reading begins to slow a few years down the track, she turns to writing. Over her reading years, she had always jotted down notes and thoughts from the books she’d read. The Queen feels writing is a much more suitable for her as she had, after all, always been a doer. Most importantly, it also allows the Queen to finally find her own voice. This book was such a fun little read, filled with wry and sly humour, about the most unlikely tale of the most uncommon reader. The portrayal of the Queen was quite tragic though and makes you wonder who this woman really is, if it is a blessing or a curse that she has been Queen almost all her life and knows nothing else. While I was also slightly wary of any subtle, incidental propaganda, this book is above all an ode to the pleasures of reading.